This week Spanish archaeologist Raúl Balsera Moraño takes us to Austria, home of the prehistoric Venus of Willendorf. Greetings fellows! My name is Raúl and I write from Barcelona, the city of Gaudí. 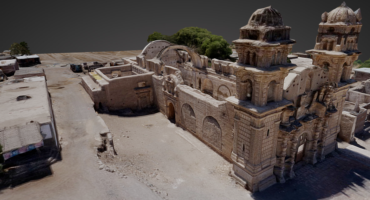 I’ve been a professional archaeologist for 20 years and I became interested in heritage virtualization to improve the archaeological record of scientific excavations in which I participated. 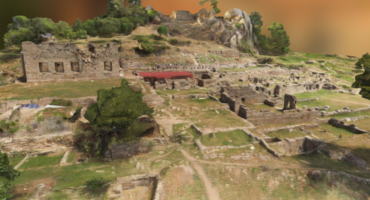 Later, I also introduced this virtual tool to publicize the collections of the Archaeological Museum of Catalonia in Barcelona with whom I work. 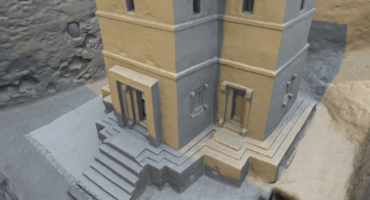 The technique I use to generate 3D models is photogrammetry, because of its low cost and the quality of the results. The program I use to process digital images is PhotoScan and also Blender to tweak the geometry and properly orient the model. As for the 3D model, I have to say that I got it from 37 internet photographs, so the result is not perfect. Before processing the images I tried to unify their characteristics, matching sizes, adjusting brightness and contrast and also eliminating the backgrounds using Photoshop. I have not seen the need to improve the geometry and texture of the 3D model using Blender, because I believe this is the way the technique to create 3D models from photographs that were not taken with this purpose should be. In this sense, its formal imperfections are beautiful to me. The famous Venus of Willendorf is an 11 cm high carved limestone figure covered with red ocher, depicting a woman with exuberant forms. It was found at a paleolithic site near Willendorf, Austria on the banks of the Danube in 1908 by the Austrian archaeologist Josef Szombathy, and is considered to be about 25,000 to 30,000 years old. Today it is preserved in the Museum of Natural History of Vienna in Austria. I hope this piece of the universal archeology awakens your interest and curiosity about the past. Greetings to all the World from Raúl. To see more of Raúl’s models here on Sketchfab, check out his profile.